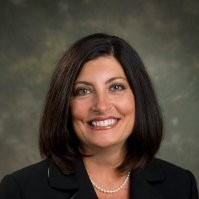 Gina Altieri serves as Senior Vice President and Chief of Strategy Integration for Nemours Children’s Health System. She is responsible for Nemours strategic planning process, information services and analytics, consumer digital health and marketing and communication. She previously served as the Enterprise Vice President of Corporate Services for Nemours, responsible for leadership of the combined operations of Information Systems and Security, Clinical Informatics, Strategic Project Management, Marketing & Communications and the operation of Nemours the Estate museum. Nemours, an early adopter of the electronic health record won the Davies Award, and under her supervision has achieved HIMMS stage 7 for its two freestanding children’s hospitals and its ambulatory care network in five states. In addition to her Corporate Services responsibilities, Gina also serves as an executive champion for Strategic Planning Support, Associate Satisfaction & Engagement and Brand Management.